ROOR have been manufacturing quality glass smoking paraphernalia for many years and now brings its expertise to the ROOR Steam Roller Pipe. This simple, yet elegant pipe is made from the best quality silicate glass and is hand blown, making it super strong and durable. ROOR Steam Roller Pipes have thick glass walls and can withstand higher regular temperatures than standard pipes, meaning that they will last for many years. The simple design really stands out and is bound to be a great conversation piece. 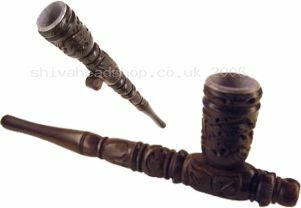 It is recommended that you use screens with this pipe, they can be purchased here. 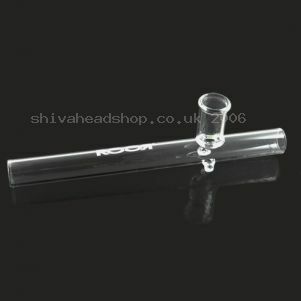 ROOR Steam Roller Pipes are available in small, medium and large starting from just £10.99; so what are you waiting for? Why not pick up yours today. 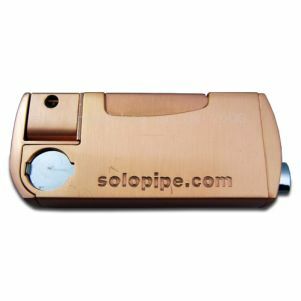 The Solo Pipe – all you’ll ever need! The Solo Pipe is a marvel of design and innovation. It combines a pipe and a refillable lighter all in one so it really is all you’ll ever need. It is really easy to use and can be operated with just one hand. To use the Solo Pipe simply, fill the bowl with your favourite smoking tobacco, press the button on the side and the lighter will swivel round and light it for you, easy! Once you’ve finished simply slide the cover back over the pipe bowl and store away, it’ll be ready and waiting for your next smoke. The Solo Pipe comes complete with a cleaning kit, two spare pipe screens and velvet pouch all wrapped up in a great looking presentation box. 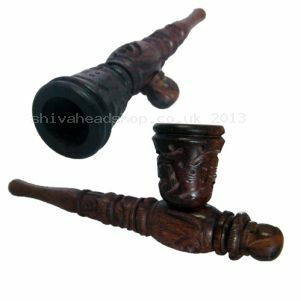 The Solo Pipe is available now from Shiva Head Shop for just £44.99, saving you 10% off the retail price, bargain! 6 Shooter Revolver Pipe – let the party begin! The 6 Shooter Revolver Pipe is a great pipe for parties and gatherings as it allows you to put up to 6 different mixes into one pipe. 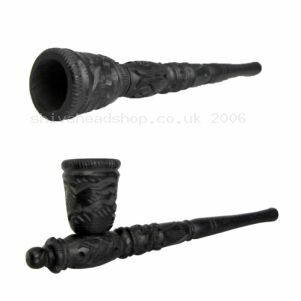 This innovative pipe has 6 bowls and once one has run out simply turn it round a notch and start smoking again, great! The 6 Shooter Revolver Pipe is precision made from solid brass and the highest quality aluminium giving it a weighty feel that will last for many years. This pipe can be easily disassembled for cleaning the because the bowls spin round only one pipe screen is needed, saving you time and money. The 6 Shooter Revolver Pipe comes complete with a handy carry case for when it’s not in use and an allen key for dismantling the pipe. All you have to do now it decide what herbal mixtures and flavoured molasses you’re going to use in it. 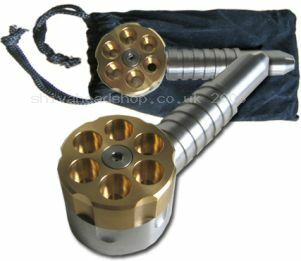 The 6 Shooter Revolver Pipe is available now for just £22.99 and spare pipe screens are available here. 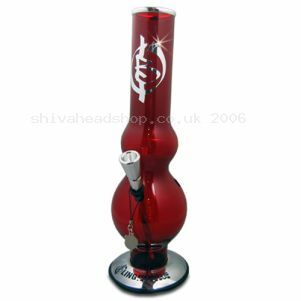 Red Eye Bling Bongs are the perfect accessory for those who like shinny things and with 4 different bongs to choose from, there is something for everyone. The Big Punishment bong is currently the bestselling bong in the range and stands 35cms tall. Its bubble design takes more water than a standard bong, making for a smoother smoke. The Big Punishment bong also features an aluminium diffuser that breaks the smoke into smaller bubbles for a cooler and healthier smoke. This bong really adds a bit of bling to your house with its polished mouthpiece and base, a chrome logo and a cubic zirconia embedded in the body. Each Red Eye Bling bong comes with a charm attached to it which you can use for whatever you want; use it as a key ring, put it on a bracelet or bag, the choice is up to you. The Big Punishment bong also comes with two packs of screens for free, so you can fire it up as soon as you get it. The Big Punishment bong is available now for £34.99 and will make a great gift for someone special. The 40cm Breit Ice Bong is the biggest in the range and boy does it deliver! These bongs are hand blown in Germany by BlackLeaf and are durable and strong as well as highly practical. This Breit bong features a glass shelf that means you can put ice into the chamber making it an even smoother and cooler smoke. Being made from glass, the Briet Ice Bong can withstand higher temperatures than standard acrlic bongs and are even easier to clean and look after. This bong also features a bistable ground jointed stem and a huge bowl with the BlackLeaf logo embossed on it. The thick glass walls and stylish looks makes this bong a great choice for any smoking enthusiast. It is recommended that you use glass filters with this bong to get the most out of it. The Breit Ice Bong is available now for just £29.99 and glass filters are available here.